The Crumpet: 30 Days of Purple - Day 22 - Nellyphants !!! Thankfully the week is getting better for me, and all the stresses are forming an orderly queue rather than bombarding me at once! 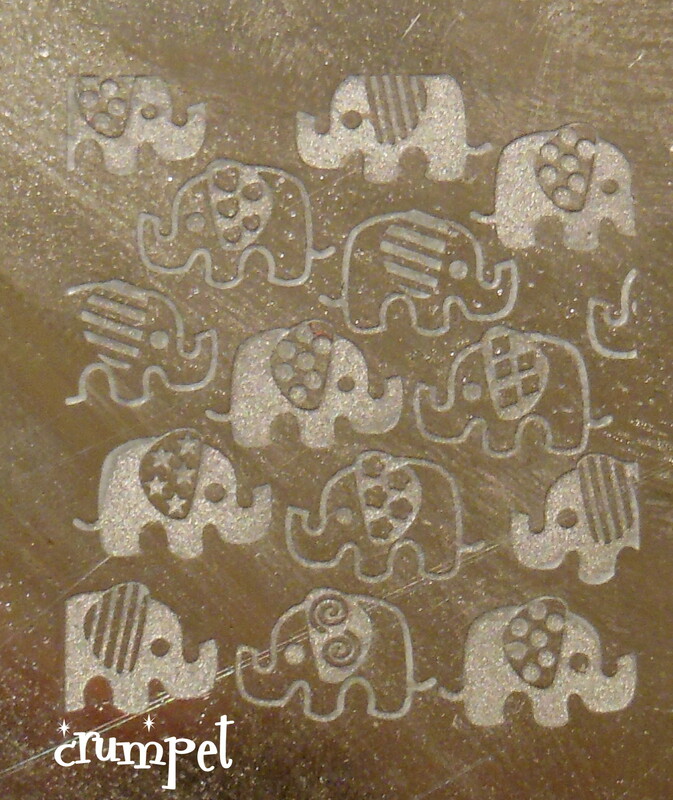 Happy Thanksgiving to my US followers, and I'd love to know why Thanksgiving is on a Thursday ? 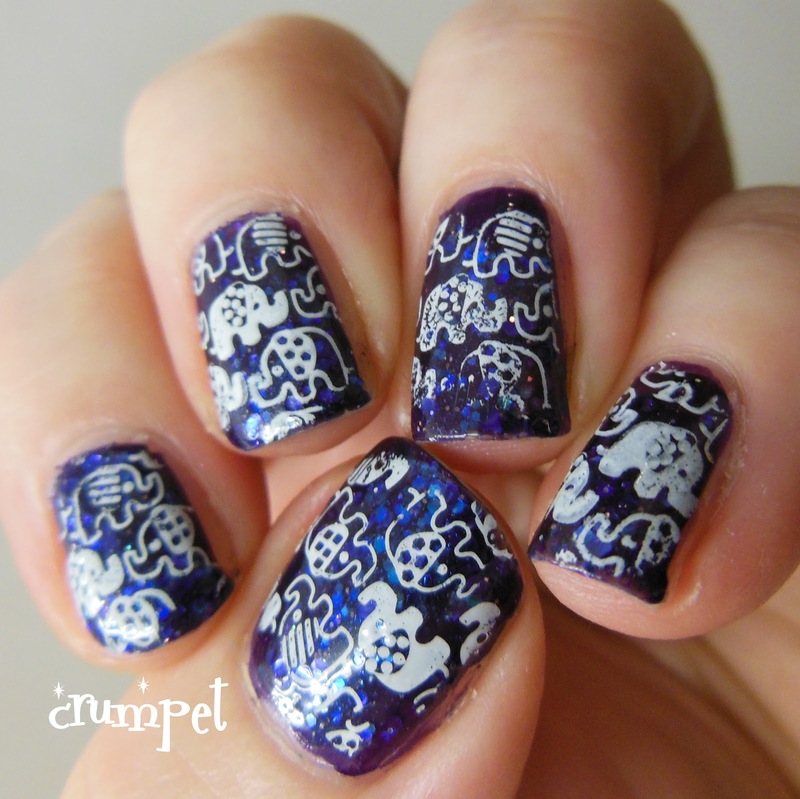 Can you help me ? 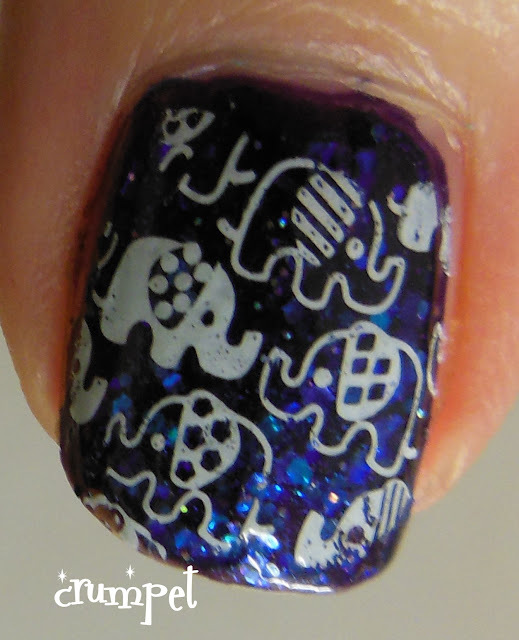 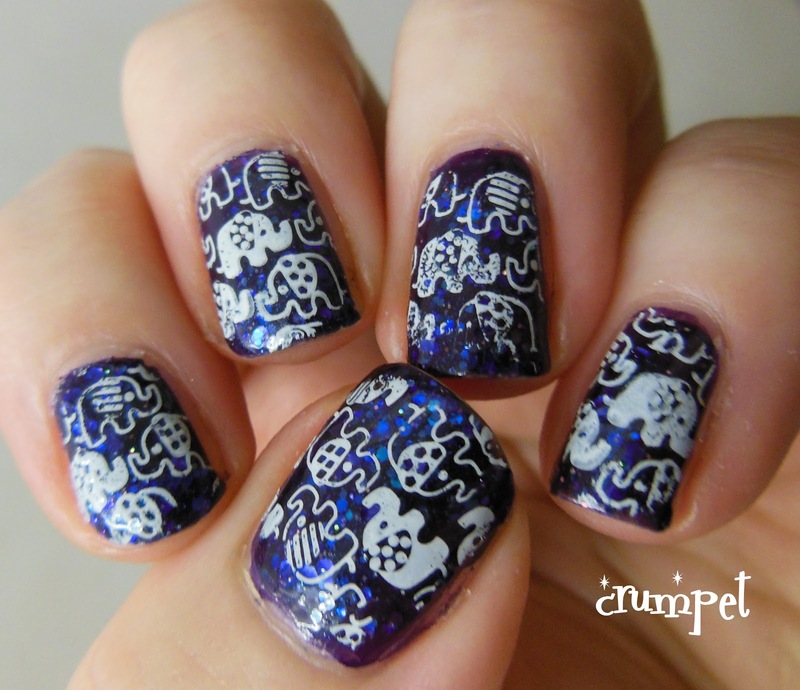 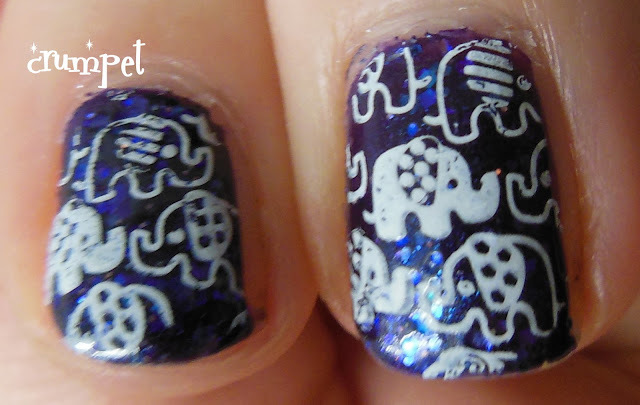 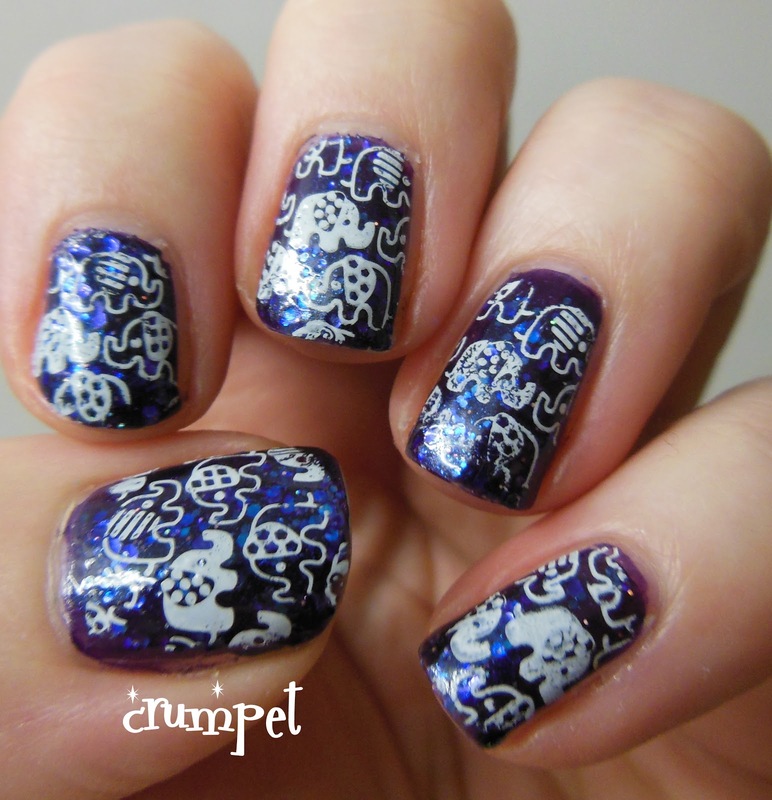 Today we have a stupidly cute stamping pattern from the new DRK-C plate which I got from Ninja Polish. It reminds me of the those old-fashioned embroidered elephants you get, and also he looks a little like Elmer too, doesn't he ? 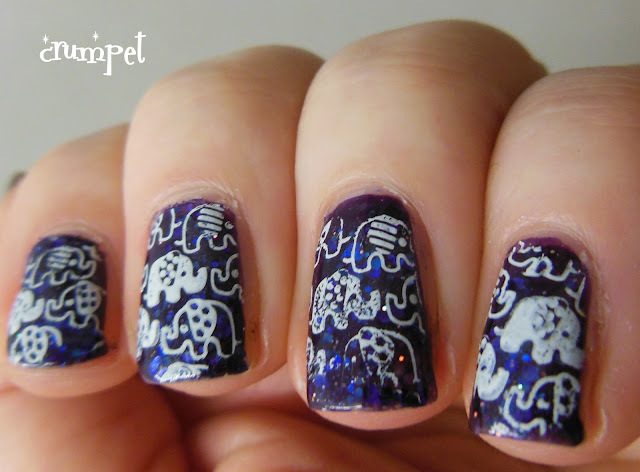 The base polish for this is the STUNNING Wicked Attraction by Darling Diva Polish, which was sent to me for review (coming very very sooooon), and the stamping is with my trusty Konad White.